Did I mentioned that I did something just because I can and have to for the band I've love since I was 16 and now still obsessed with like that 16 year old fan girl? 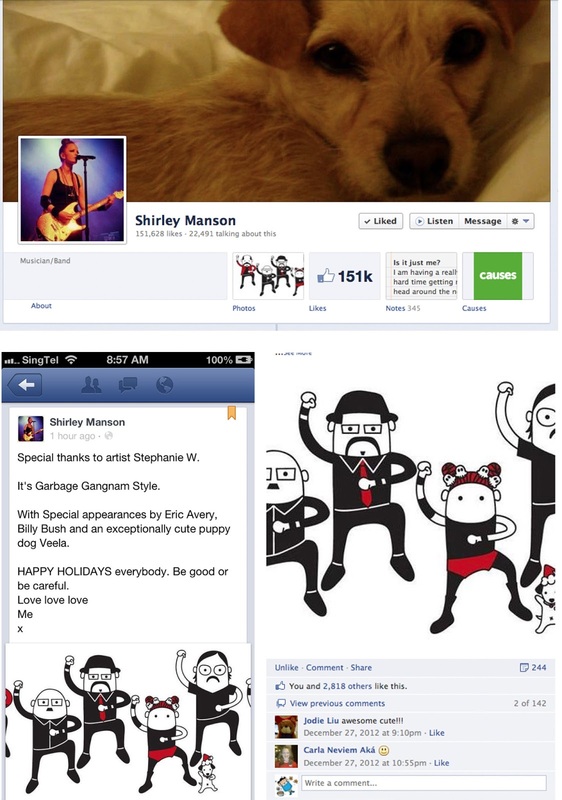 Tweeted the band and I've got a great post by and on the lead singer Shirley Manson's wall. 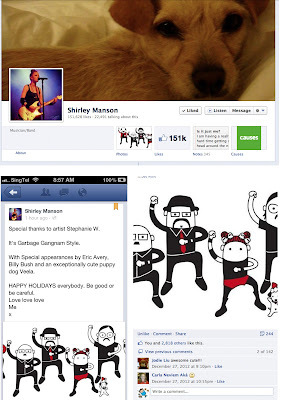 2818 likes and 244 shares so far, Garbage rocks!! *Note: Not saying that I like Gangam, but I love using it as a reference, coz anything is funny just by mentioning or referencing it. I love how it grosses out and make people laugh at the same time. Remember, dress classy, dance cheesy!! Happy 2013! !